After the French army conquers Mexico in 1863, Louis Napoleon (Guy Bates Post) offers the throne of Mexico to Archduke Maximillian (Conrad Nagel). 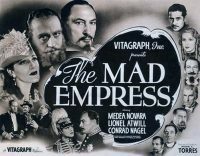 Maximillian initially declines the offer, refusing to renounce his rights to the Austrian throne, but his wife Carlota (Medea de Novara) wants adventure and convinces him to build a happy empire. When the royal couple arrive in Mexico City in 1864, they quickly settle into a life of luxury and extravagant balls. However, gunfire is heard during one ball, and Maximillian realizes that there are far more rebels than he had been told. Hoping for stability, they agree to adopt a local, the heir to the Iturbide dynasty. As the revolt intensifies, Maximillian initially balks at signing a decree permitting the execution of any civilian with a gun but General Bazaine (Lionel Atwill), commander of the French army, is relentless, finally threatening to withdraw French troops if Maximillian does not sign, so the emperor finally gives in. In the end, it does not make a difference, since Napoleon breaks his promise and pulls French troops out of Mexico to prepare for the likely war with Prussia. Carlota travels to France to argue with Napoleon, but fails, which causes her to have a nervous breakdown. Learning of Carlota’s situation, Maximillian plans to abdicate and return to Europe to take care of his wife. However, Generals Meija and Miramon arrive with news that they have organized a Mexican army, so he is convinced to stay to protect his supporters. 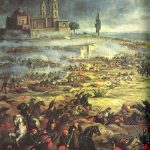 Following his generals’ advice, Maximilian seeks a decisive battle at Queretaro but finds himself facing a huge Juarista army. Surrounded, Maximilian refuses to surrender unless his generals get amnesty. Captured when an officer leads Juarez’s men through the lines to end the fighting, Maximilian is sentenced to death for usurping the throne and signing the Black Decree. 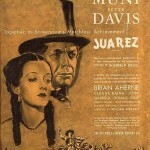 President Benito Juarez (Jason Robards, Sr.) refuses to cancel the sentence despite pleas from Austrian and Prussian ambassadors, so the archduke ends his life in front of a firing squad. The movie shows the basic chronology of events but provides no explanation or background. In particular, there is no mention of the previous War of Reform, where the losing Conservative government had run up the huge debts that were used as an excuse for the French invasion. Nor does the script explain that Napoleon’s decision to pull his troops out of Mexico to prepare for a war with Prussia followed Prussia’s victory against the Austrian Empire. When Bazaine announces that the French army is leaving, one of Maximilian’s aides suggests building an army with the Austrian and Belgian volunteers, but both nations had stopped sending volunteers due to domestic issues. Speaking of Bazaine, he has a key role but the actor’s portrayal is too polished since the real man trained artillery on a cathedral in Mexico City when the Catholic Church refused to let his men attend mass. However, the movie deserves credit for detailing Napoleon’s efforts to con Maximilian into accepting the throne by instructing Bazaine to arrange a successful election inviting the archduke to take the throne to satisfy his democratic impulses. The real Maximilian accepted the results at face value, thus proving the dangers of inbreeding. When the American Civil War ends, President Abraham Lincoln (Frank McGlynn, Sr.) decides to enforce the Monroe doctrine and sends a warning to Paris that the United States supports Juarez. Actually, the US did much more, since General Ulysses Grant, commander of the army, strongly sympathized with the Juaristas, and arranged for them to receive thousands of rifles. Oddly enough, Juarez is always shown from behind, as if the director did not feel that any actor could do justice to the president. A scene where Juarez makes an American journalist wait while he dissuades worshipful farmers from throwing away their lives by fighting Napoleon’s professional soldiers shows that Juarez is a man of the people. Carlota and Max are happily in love, but there is no scenes of him cheating on her. After failing to convince Louis napoleon to change his mind and keep his army in Mexico, Carlota makes a sharp comment where she states that as a Bourbon she should have known better than to trust Bonaparte adventurers. She’s right, she should have. The brief interplay between the archduke’s servants where they debate the merits of being archduke in Austria or emperor in Mexico was probably the best part of the movie, I wish there had been more. I could have done without the endless flowery dialogue but it was 1939. The acting is stiff, even for the time. Medea de Novara, who plays Carlota, was no Bette Davis. Made the same year as Juarez, but far inferior. Honestly, there is little reason for anyone to watch this movie, unless they feel compelled to see every movie on the Franco-Mexican War.